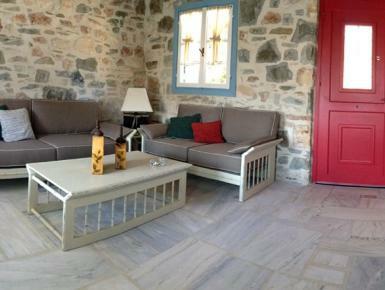 Traditional house, 100sqm, with really nice view of the sea! Located in a beautiful and quite place near to the best beach of Paros, Chrisi Akti, well known for the golden sand and the windsurf facilities. There are many traditional villages near the house where you can find many restaurants serving local food specialties, as well as many bars, shops and anything else you might need! The house has two floors connected with internal stairs. At the entrance floor there is the living room, the kitchen and one bathroom with shower. There is also a balcony with very nice view!